Aren’t these nail arts so cute? It’s totally awesome! 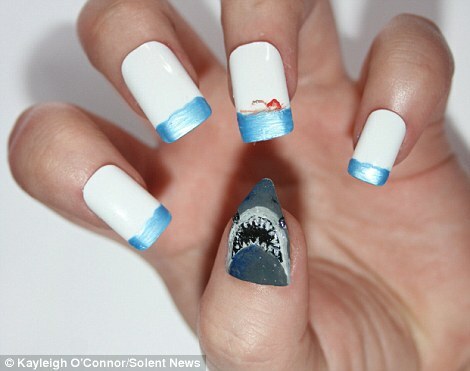 I’ve been a fan of nail art but this is my first time to saw movie-themed nails. Kayleigh O'Connor, a 24 yr old media student from Birmingham is a great movie buff is the designer behind these wonderful nail art creations. 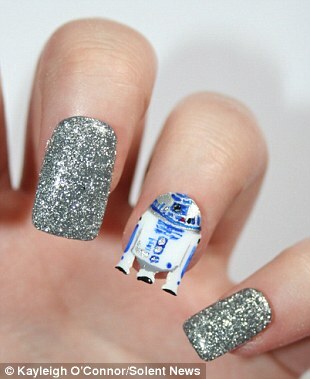 She loves movie and pop culture and to show her love for them she paint them in her nails! 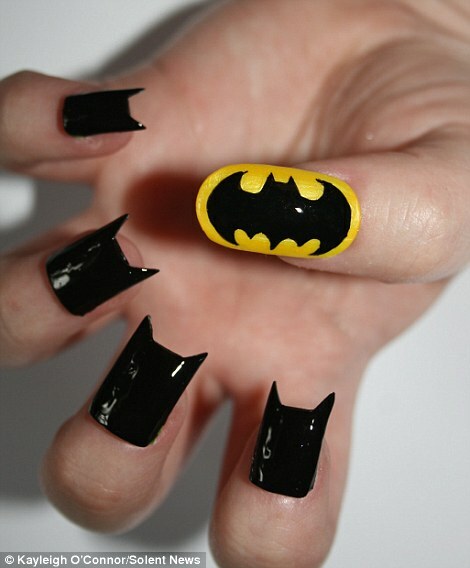 I totally dig the batman nail art and I reckon it’s fun and unique and going to the movies with you batman nail art can also attract attention of other Batman fanatics. I also read that Kayleigh even dreams of opening up a salon or an online shop where nail art fanatics or other people who loves art can share with her passion. Pretty cool! 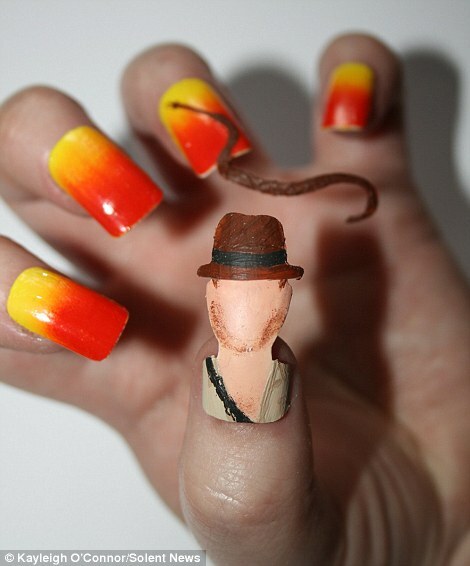 Thumbs up for this movie-themed nail art designs!